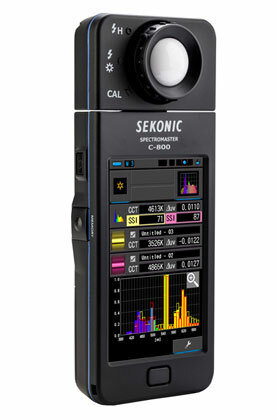 Sekonic has a new version of their ultra popular color meter, the SpectroMaster C-700-U. The C700 has become a staple on production sets, rental houses, and even gear review sites, with its ability to read all kinds of light sources and render precise color readings. 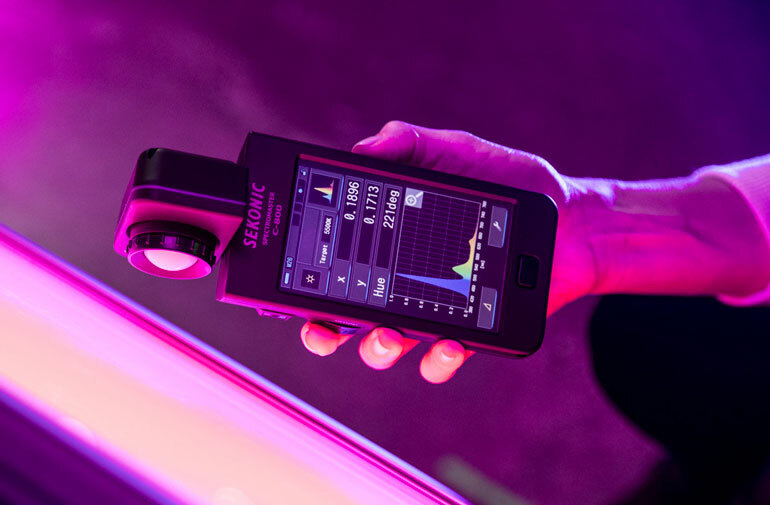 The Sekonic Spectromaster C-800-U is the next generation of color measuring for photographers, cinematographers, and anyone who is looking for precision when reading the color properties of their light fixtures. The C-800-U has some upgrades to the C700, including more color rending standards, where you can set any light as the standard, and then give other lights a score based on how well they match. This is useful for scenarios where a cinematographer needs to match the color properties of many different lights to one primary source. The C-800-U is the only field meter that has this Spectral Similarity Index (SSI). But it also has the widely used TLCI and CRI indexes, for measuring the color spectrum and color spikes from your light fixtures. Like the previous model, the C-800-U can still read LED, HMI, fluorescent, tungsten, natural light, and flash – all from 1600 to 40,000 Kelvin temperatures. But new to the model are more features to help match lights to one another. Specifically, hue and saturation measuring have been added, to help match RGB LED lights. 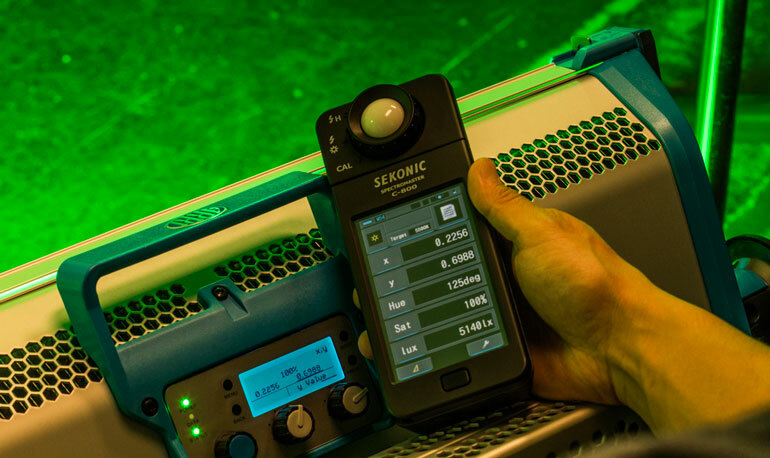 Outside of its primary use on productions, the Sekonik Spectromaster is a key tool for many light reviewers, rental houses, and filmmaking educators. It’s one of the best ways to see the true photometrics and color spikes from a light fixture, rather than relying on a manufacturer’s claims. The C800 is setting itself up to be the new industry standard for measuring color out of RGB LED lights, which is a new product category that is growing rapidly everyday. While the C700 has been instrumental in telling how close to true white a LED light is, the new C800 will be even more useful when we have millions of new colors to test and compare. More information is available here. B&H Photo now has the Sekonic C-800 available for preorder.